TNPSC Group 2 Answer Key 2019 – Tamil Nadu Public Service Commission (TNPSC) releases TNPSC Group 2 answer key within three to four days after completion of exam. However, the Commission will not publish the answer key for mains exam as the questions asked in the exam are descriptive in nature. The answer key of TNPSC Group 2 prelims was made available separately for General Tamil/General English, Aptitude and Mental Ability Test and General Studies in pdf format. TNPSC Group 2 2019 answer key displays the correct answers of questions asked in the exam. Cross-verifying the responses marked in the exam with TNPSC Group 2 answer key, candidates can calculate their probable score as well as analyse their performance in the exam. Candidates can calculate their probable score based on the number of correct and incorrect answers. Candidates also provided the facility to raise objection against the answer key. The objection form is released along with TNPSC Group 2 answer key. Candidates will have to submit their objections within the dates prescribed by the examination authority. Read below for more details on TNPSC Group 2 answer key including dates, marking scheme and qualifying marks. The tentative date pertaining to the release of TNPSC Group 2 answer key are given below. The answer key of TNPSC Group 2 will be available at http://www.tnpsc.gov.in/ . Candidates can check the steps to download TNPSC Group 2 answer key. Coaching institutes like Kingmakers IAS Academy, We Shine Academy etc releases the answer key within few hours after completion of the exam. Candidates will be able to download the answer key on this page. The marking scheme of TNPSC Group 2 is given in the table below. Objections have to be submitted online only within 7 days from the date of release of TNPSC Group 2 answer key 2019. Correct answers in the answer key will be tick marked in the respective choices for each question. To raise objection, click on the raise objection tab in the answer key. Clicking the link, the answer key challenge window will appear on the screen. Candidates need to provide the name of recruitment exam, registration number, application number, date of birth, subject and the question number against which they want to raise objection. Candidates can choose the correct option and mention the reason why they want to raise objection in the remarks column. Candidates need to provide relevant documentary proof. At the end, candidates should take printout of the acknowledgement slip. The objections submitted by candidates will be reviewed by experts. If the objections raised by candidates are found to be correct, then the examination authority will revise the answers in TNPSC Group 2 answer key and publish the final answer key. 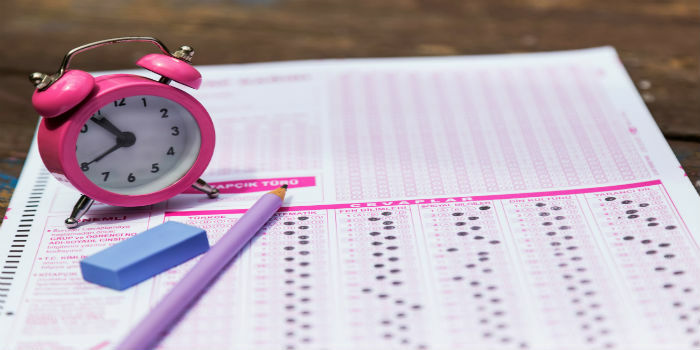 To pass the exam, candidates need to secure the qualifying marks. The qualifying marks for preliminary exam is 90 which is common across all categories. TNPSC Group 2 exam is conducted for recruitment of candidates to various Group-II Services in government departments of the state. The selection procedure comprises three stages - Preliminary Examination, Main Written Examination and Oral Test.